Premature clothes finding small fitting baby clothes for babies of low birth weights. 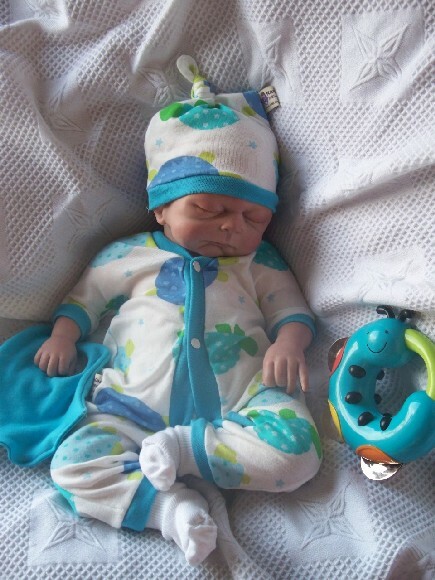 A special range of tiny baby clothes for premature and small babies that's truly Amazing. This popular brand of premature clothes are all carefully designed for special care and low birth weight babies from 1lb in weight and go up to 12lb. These particular premature clothes are suitable for early babies to wear in incubators & hot cots,known as neonatal intensive care units. The best thing is Most of these contain complete clothing sets including tiny hats, incubator vests, bodysuits & sleep suits and first newborn clothes. These Garments offer maximum comfort allow for ease of dressing made for tubes, drips and foot monitors, your baby may have attached to their body, head or nose area. Parents are so happy to see what they can buy easily as the picture are available onlineto view in larger photographs, less to worry about during those extra special first weeks knowing this store has everything for a small newbaby or even poorly newborn babies recovering from surgery. Nanny Nicu brand of Premature baby clothes offer the very latest in comfort and style and the most attractive and tasteful colourways.These clothes are designed to provide easy nurse access, accommodate monitoring leads and IV tubes, and are constructed with natural ?breathing? fabrics, made from 100% stretchy cotton.They are made allowing for some growth before baby moves up onto the next size. Hi, Just wanted to let you know I received my order this morning and the clothes are so beautiful, can`t wait to see Poppy wearing them! Thanks also for the free pink coat, much appreciated, I am sure she will look gorgeous. D Peters "Easy to use site excellent swift service items sent with no fuss returns lables. It was lovely to get clothes that actually fit my son, Thanks". The huge selection of baby clothing for newborn includes rompers, bodysuits and all in ones. The extensive ranges are practical yet fashionable outfits that are perfect for premature and tiny babies to start wearing at the hospital and ready to go home. Premature baby clothes especially essentials and assessories such as warm coats and tights aren?t easy to locate. Not all shops that stock baby clothes stock premature baby clothes, baby speciality shops do have premature baby clothes but are often limited for choice. few online shops are dedicated to premature baby clothing. You are sure to quickly find perfect tiny baby clothes for your premature baby,at the tiny baby clothes onlineshop by brands Nanny Nicu have exactly what you need for special care units and the cheekychums online superstore have all the essentials items you may miss out on in teeny tiny baby sizes. Order every item online quickly leaving you free to spend quality time with number one priority you and your new beautiful baby.